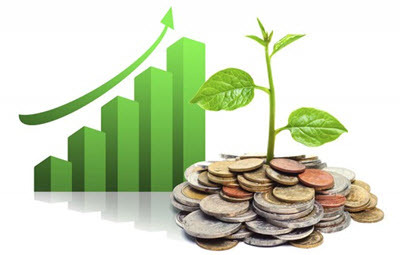 When it comes to increasing personal wealth, the stock market can be an appealing, if somewhat intimidating, prospect. Investing in the stock market gives the potential for excellent returns, although it’s not without risk. If you are new to stock investing, it can seem a daunting task to try and understand the industry. The current low interest rates for other types of investments are attracting people of all experience levels back to investing in stocks. Whether you have invested in the past, or it’s your first foray into the world of the stock market, there are a number of things you should consider before parting with your money. What do you want to achieve? – You should decide what you want from your stock investments. Will this be a supplement to your income, or are you looking to become a full-time stock investor? How long do you want to invest for? – The stock market has many different companies and options to choose from. There are types of investment such as over/under options that are more suited for short-term gains, while others will have to be looked at for long-term investments. You will need to decide on your investment strategy from the start. How much do you want to invest? – The types of stock you buy may depend on how much you are willing to invest. There are some small-value stocks that may only require a small investment, but better-established stocks may need a bigger fund to buy them and get a return. You should consider how much you want to put into stock, and this should be something that you can afford to lose. Stock is not risk-free; the value may go up, but it can also go down. Accessing the stock market is done in one of two ways; directly buying a stock (although known as ‘direct’, this is still through a broker) or buying through a pooled investment fund. To buy stock with a company and become a shareholder, you will need to use a broker. There are many broker services to choose from. These offer everything from fully supported services, with tips on what to buy and when, to dealing accounts that let you buy and sell stock of your own choosing. Indirect buying in the stock market is more appealing to beginners. This is usually managed by a company that will represent many small investors. The group buying-power reduces fees and spreads the risk across many people. Whichever way you choose to buy stock, you have the opportunity to make a difference to your personal finances. The best results are achieved by conducting lots of research into the company you are going to invest in, or to look at the background of an investment fund group before you put your money in. The stock market does offer the chance to see big gains on your investment, although you should be prepared to see the value drop as well as go up.